headlines report drug raids in towns across the country. Drug sales take place in high school parking lots every day. Are we in danger of losing an entire generation to the drug culture? The problem has received wide media coverage, but there is another war on drugs that is under the radar. From Maine to California reports are coming in describing the plight of those who suffer from chronic pain. Florida is reporting a large number of chronically ill and disabled who now are being denied access to their pain relieving pharmaceuticals. Have some state legislatures created a more serious problem than the one they were trying to solve? A wave of paranoia is sweeping across the country. A Vermont doctor recently told his elderly patient that the successful treatment plan would be discontinued. The reason given by the doctor: "Even the elderly, without much time left, should not become addicts. Better that they learn to live with pain". How ironic in a state that has legalized Assisted Suicide. You can kill yourself, but you can't decide whether or not to take a pain pill? It is not suggested that those with a Monday morning hangover or the flu should be prescribed opiates. No one is suggesting that, but what about the 80 year old with a long list of painful medical problems - arthritis, serious back injuries, Raynaud's, pancreatitis, scoliosis, peripheral neuropathy, shingles, trigeminal neuralgia, cluster headaches that continue for months. There should be some allowance for those who suffer from chronic pain. Seriously ill patients should not be treated as addicts. Alabama, Arizona, California, Colorado, Connecticut, Florida, Hawaii, Idaho, Illinois, Indiana, Iowa, Kansas, Kentucky, Louisiana, Maine, Massachusetts, Michigan, Minnesota, Mississippi, Nevada, New Mexico, New York, North Carolina, North Dakota, Ohio, Oklahoma, Oregon, Pennsylvania, Rhode Island, South Carolina, Tennessee, Texas, Utah, Vermont, Virginia, West Virginia, and Wyoming. 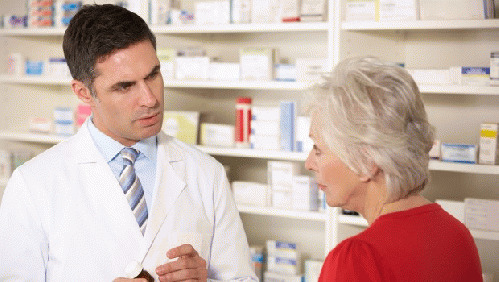 In Florida pharmacists have refused to fill prescriptions. In other states doctors have refused to continue successful treatment plans. Many doctors feel intimidated. Some others put the wellbeing of their patients first. The root of the problem is that the government has been keeping lists of doctors, pharmacies, and patients - along with a list of certain prescribed drugs. The doctor/patient relationship has been violated - along with any possibility of patient privacy. Doctors now have a conflict of interest. The old adage - "Do no harm" is no longer valid. A system has been set up where everyone loses - there are no winners. Doctors don't want their names on these lists. It is like giving them a bad report card. This micromanaging by Big Brother punishes the doctors and the patients. Surveillance of medical records is overkill and yes, some lives have been lost when the patient could no longer tolerate the pain. Will suicide be the only option when pain gets unbearable? Most of these patients are elderly. Many have no resources. They are voiceless. They have been financially drained and have no assets. They are powerless - many isolated in small apartments or nursing homes. Who is advocating for them? We need to tell the Feds that Grandpa is not in search of a 'high'. He is just hoping for a day with less pain. These patients are not part of the drug culture. Most have no experience with street drugs and would not know the difference between a joint and a suppository. How do we fix this. First - Allow patients and doctors to determine the best treatment. Second - End this intrusive monitoring program. Third - Use the funding to care for real addicts.